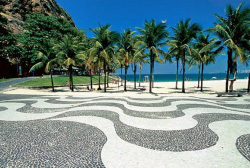 The IASE 2015 Satellite Conference will be held in Rio de Janeiro, Brazil from July 22-24, 2015, just before the 60th World Statistics Congress, July 26-31, also in Rio. An IASE Satellite conference takes place every two years, bringing together diverse people from around the world and the host country to share their passion, expertise and experiences in statistics education. Many delegates then continue to the larger WSC which also has numerous sessions relevant to statistics education, but some come just for the Satellite meeting. The Satellite will bring together a group of experts, scholars, practitioners, and researchers, representing as many different countries as possible, to discuss views and approaches related to the Conference theme Advances in statistics education: developments, experiences, and assessments. The conference (draft) program with details of the sessions and papers for the 3 days is now published - see under "Program" menu. A detailed description of the featured conference theme and sub-topics, the call for papers and the submission and optional refereeing processes is located on the Theme and Papers page. 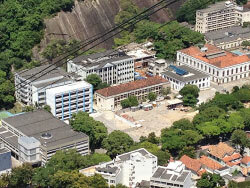 The 2015 IASE Satellite conference will be held at the campus of the Universidade Federal do Estado do Rio de Janeiro (UNIRIO), in the old and beautiful Urca neighborhood of Rio de Janeiro. The Campus venue is located at 458 Pasteur Avenue. The conference is managed by an International Program Committee (IPC) and a Local Organizing Committee (LOC). Details about the IPC and LOC members can be found on the Committees and Sponsors page. For all questions regarding the scientific program, papers and poster presentations, please contact the IPC chair, Pedro Campos (Portugal). 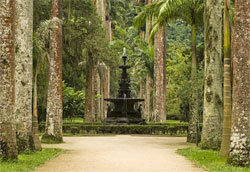 For all questions regarding registration and local arrangements, please contact the Local Organizing Committee (Brazil). The conference is co-organized by the International Association for Statistical Education (IASE) and Universidade Federal do Estado do Rio de Janeiro (UNIRIO). See the Gallery of photos from the conference. Only on-site registration is now possible, on Day 1 of conference, by credit card only. Registration details or see under the Registration menu. Also, see the list of pre-conference workshops, general programme structure and times, and key dates. We have five eminent keynote speakers.